There is an almost endless list of what China statistic China is biggest in, and what it consumes / producers most of. But not all of them are positive. 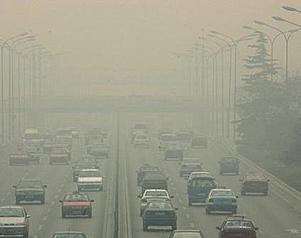 The latest projection is that China will become the world’s biggest polluter this year – overtaking the US. China’s emissions rose by about 10 percent in 2005, a senior US scientist estimated, while Beijing data shows fuel consumption rose more than nine percent in 2006, suggesting China would easily outstrip the US this year, long before forecasts…Taking the top spot would focus pressure on China to do more to brake emissions as part of world talks on extending the United Nations’ Kyoto Protocol on global warming beyond 2012. China will certainly be big in everything due to its size of its population and China will have to find its way to confront those problems as most of them had been brewing for a long time. While there are money making opportunities in positive areas, I m sure there are equally abundant of opportunities in those negative areas.